Burglary insurance is an insurance policy that provides financial compensation for loss or damage caused to property and valuable items due to burglary or house breaking. Are you worried about the safety of your house and the security of the valuable items in your house when you are holidaying with your family or visiting your relatives in another town or city with your family? Or, if you are a businessman owning a business premise, do you spend sleepless nights at your home worrying that the furniture and stock of goods in your business premise might be damaged or stolen by burglars? If you are worried, then you should think of buying a burglary insurance policy and then travel any number of days to an outstation destination completely relaxed or go out on a holiday with your family with peace of mind. * Cash, jewellery and other valuables kept in a specified locked cupboard. * If it is a business premise, damage caused to furniture, stock of goods and other property within the business premise. 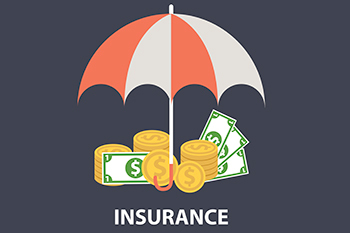 The burglary insurance policy would pay financial compensation to the insured if any of the items specified above are stolen or damaged due to burglary or house breaking. However, there are certain exclusions which the policy does not cover. These exclusions include theft by employees or family members of the insured, burglary due to fire and other perils, loss or damage caused by war, rioting and strikes, loss or damage caused by malicious intention, confiscation of items by customs and municipal authorities, among others.